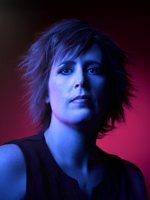 Kelley Armstrong is the New York Times bestselling author of the Women of the Otherworld series and the Darkest Powers series, an urban fantasy filled with supernatural witches, ghosts, vampires, and werewolves. She’s also written the Nadia Stafford series, which is a suspense thriller about an ex-cop turned hitwoman. Matthew Peterson: You’re listening to The Author Hour: Your Guide to Fantastic Fiction, which can be found at www.TheAuthorHour.com. I’m your host Matthew Peterson, author of Paraworld Zero. I do have a minute or two before my next interview, so I thought I’d talk a little bit about agents and publishers. I mentioned a few weeks ago that I got an offer from a publisher in India to publish my young adult fantasy book in that country, so that’s exciting. I’m still in the hunt for a new U.S. agent, and I must admit that I’ve only queried two people so far. One of them asked for a partial of my book, so I’m crossing my fingers with that. Let me give you a quick run down of how the whole processes works. Most large publishers have gatekeepers who do all the grunt work of weeding out the poor manuscripts. These are called literary agents. You can’t even submit your book to most of the big publishers without them. Now, agents also deal with the contract and the money. They typically get like10 to 15% of your profits, but it’s usually worth it, since they already have their foot in the door and can get you more money than you could by yourself. Now, the normal procedure is that a perspective client would send an agent a 1 page query letter with no fancy fonts or frills. In that query letter you basically spend one or two paragraphs telling the agent about your book. If you’re lucky, they’ll ask for the first few chapters or even the entire manuscript. And then there’s the waiting game. It could take weeks or even months before the agent gets back to you. I actually had an agent reading my full manuscript on an exclusive basis for like 10 months. Yeah, 10 months, and she kept sending me encouraging emails telling me that she’s still looking at my book, but eventually a publisher offered me a deal, so I got tired of waiting and just signed the contract without an agent. Probably wasn’t the wisest thing to do. I did eventually get another agent for a little while, however, but she didn’t really handle books for middle-grade audiences, so we went our separate ways. That’s why it’s important to do your research before you query an agent. Well, anyway, that’s agents in a nutshell. I hope that was interesting. So let’s get to my next interview. My next guest is Kelley Armstrong, New York Times bestselling author of the Women of the Otherworld series and the Darkest Powers series, an urban fantasy filled with supernatural witches, ghosts, vampires, and werewolves. She’s also written the Nadia Stafford series, which is a suspense thriller about an ex-cop turned hitwoman. Thanks for being on the show today, Kelley. Matthew Peterson: Let’s start out with the Women of the Otherworld series. The first book, Bitten, came out in 2001. Matthew Peterson: And you now have 10 books in this series, with more to come. Tell us a little bit about the Women of the Otherworld series. Kelley Armstrong: The Women of the Otherworld started with Bitten and that starred my female werewolf, Elena Michaels. She got the first two books, and as much as I love my werewolves, I couldn’t imagine doing ump-teen books with them. It would just be the “threat of the year.” So I wanted to expand it to include other supernatural types, so in book three, it took off to a secondary character who is a witch, Paige Winterbourne, and from there it continued to change narrators and return to old narrators. Elena also got book six, Broken, and book 10, Frost Bitten. Matthew Peterson: And Elena, tell us the interesting thing about her. She’s a female werewolf? Kelley Armstrong: Yes, werewolf. She is the only known female werewolf. It is extremely rare in my world because the gene is passed through the males. The only way to become a female werewolf is to be bitten, and anybody who is bitten has a very small chance of surviving it. Matthew Peterson: Alright, and I assume she’s just not happy being the only female werewolf, but what is her lot in life; what is she doing? Matthew Peterson: Okay. And like you said, you do have lots of other characters throughout the series, and I think that’s a great thing because it does get a little monotonous, like you said, “now what’s the threat of the year for the next werewolf book?” And I do enjoy that you have other elements: witches and demons and main characters, different points of view. Your latest book, though, in the series just came out; it’s called Frost Bitten. What’s new in this book? Kelley Armstrong: Well, Frost Bitten does go back to my werewolves, and it’s actually less new than some of my more recent books. I have some of the later books, I brought in new characters, new situations, even switched with book nine to third person, multiple view points. But with 10, I kind of went back to my original type, which is focusing on one supernatural type, one case through the book, one fairly small set of characters. So Frost Bitten is pretty much all werewolves. Matthew Peterson: And the setting is Antarctica, don’t they go to Antarctica? Kelley Armstrong: Yes, the setting is in Alaska. Kelley Armstrong: I was there for a mystery conference in 2007 and just thought this would be the perfect place for werewolves. Kelley Armstrong: [laughs] It is absolutely gorgeous. Matthew Peterson: Yeah. Well, that’s neat. So I wanted to move on. You actually have a young adult series within this same world called The Darkest Powers. And the first book, The Summoning, came out just last year. Tell us a little bit about The Summoning. Kelley Armstrong: It is set in the same world as my Otherworld, just different characters, mainly teenage characters. In The Summoning we meet 15 year old, Chloe Saunders, who has grown up fairly normal. She did see ghosts when she was very young, but she’s since forgotten it. Well, once she hits puberty, she starts suddenly seeing them again, everywhere, chasing her, yelling at her. And she ends up having a breakdown at school and being taken to a group home, Lyle House, where she quickly discovers is not what it seems. Matthew Peterson: Most kids have enough problems going through puberty. Matthew Peterson: [laughs] Just tack on some more! Kelley Armstrong: Yes, that is it. That is one of the fun things doing young adult supernatural is you are taking a very difficult time of life, identity crisis, and making it that much worse. Matthew Peterson: Yeah. And The Awakening, the sequel, came out this year, and that one just continues on. Now she has some special powers too. What’s this book about, The Awakening? Matthew Peterson: I know! Holy cow! [laughs] My gold fish died--gotta bring him back. So this is a trilogy; you do have the third one, The Reckoning, coming out next year. Is there anything you could tell us about that book? Kelley Armstrong: Yeah, The Reckoning will finish off that trilogy. It’s done and it’s off at the publisher. And what I’m working on now is the first book in a second YA trilogy--again, same world, new characters. Matthew Peterson: Oh, okay. Okay same world. So you have lots of different characters, and you have an 11th book coming out next year as well in the adult one, the Women of Otherworld series. And that one is called Waking the Witch? Matthew Peterson: Anything you can tell us about that one? Kelley Armstrong: Yeah. That one will star first time narrator, Savannah. And she has been in the series since the second book, Stolen, when we met her as a twelve year old. Kelley Armstrong: And she’s gone all the way up through the series, and she’s now 21, so it’s time to put her out on her own and give her her own book. She’ll get the next two in the series. Matthew Peterson: Alright. We’ll look forward to that one. You know, not a lot of authors do this, but you’ve done this. You’ve created a lot of short fiction as well, like a whole collection of short fiction called the Men of the Otherworld. And then I think you have a novella coming out, and you’ve done a lot with short fiction. Why is it that you like a lot of short fiction? I think some of it you even have on your website. Kelley Armstrong: I do. I actually started in short fiction because I’ve written all my life. When I was young, of course, you’re writing much smaller stories, so I started with short stories. In my teens moved into novellas and didn’t attempt novels until my twenties. So I like to go back and what I had done was when I first launched my website--2002, I think--I was trying to come up with something I could offer readers on the website and brought e-serials. Come up with a novella that you post a chapter a week, a couple chapters a month on it and keep on going. And I’ve started doing those and did one every year. Still did one this year for the young adult series, and a lot of those old ones for the Otherworld are the ones that were bundled together to be Men of the Otherworld, which came out last year, and Tales of the Otherworld comes out next year. And for those two all of my proceeds go to World Literacy of Canada. Matthew Peterson: Oh, okay, great! That’s great. Now you do have one other series, that you started recently, the Nadia Stafford books. Matthew Peterson: And that’s not paranormal, but you divert a little bit from the paranormal and it’s a suspense thriller. What made you decide to I guess divert a little bit from the paranormal and go straight for the suspense thriller. Kelley Armstrong: Originally it was fear. [laughs] It was back . . . I started the first one in that series back when I had just finished my third book in the Otherworld series. Paranormal suspense, urban fantasy, wasn’t really taking off. I was getting worried that this wasn’t going to be a good career path for me. My agent, in trying to get me to relax, said, “Well, what else would you write?” And I said, “Straight up thrillers.” So she said, “Well, start one of those.” So I was working on that one and it eventually came out in 2007 as the first in the Nadia Stafford series. Matthew Peterson: More vampires, yeah. Well, Twilight’s done and . . .
Kelley Armstrong: Twilight, True Blood, yep. Matthew Peterson: Yep. It’s all good. Matthew Peterson: Urban fantasy is just exploding. Matthew Peterson: And so I thought, you know, I’m going to just split it up and have one episode just with vampires and then another episode just with paranormal, urban fantasy. ‘Cause I was just getting way too many. . . I mean it’s hot right now, lots of people are interested in it, which is good. . . which is good for you. Matthew Peterson: Well, I’ve been speaking with Kelley Armstrong, New York Times bestselling author of the Otherworld and Darkest Powers series. Thank you so much for being on the show today, Kelley. Matthew Peterson: Stick around. I’ve still got Charles de Lint coming up next.